Concordance Healthcare Solutions is now hiring for a Warehouse Worker / Relief Driver position in our distribution center in Brooklyn Park, MN. What does a Warehouse Operations Worker/Relief Driver do? A Warehouse Operations Worker/Relief Driver plays a key role in all aspects of preparing products, materials and shipments for delivery to our broad customer base. The day-to-day operations worker is responsible for incoming (receiving, put away); inventory management (accuracy, cycle counting) and outgoing (picking, packing, shipping) freight in support of the distribution centers customers.. Successful candidates have key attributes like attention to detail, accuracy, efficient use of time and a safety focus. This position also will have opportunity to serve as the face of the company making deliveries of products to our customers in our fleet vehicles when the primary driver(s) is unavailable. You'll get to: Warehouse Operations Worker (80%): Pull orders utilizing a voice pick system, RF Scanner and/or from printed orders. Prepare and maintain all records related to receiving or shipping Prepare for shipment Verify orders and shipments and perform final quality control checks before loading/shipping. Perform the inbound functions of receiving, put away, and stock of inventory received daily. Clean warehouse to maintain safe and organized work environment. Relief Driver (20%): When primary driver is unavailable, the relief driver will cover the daily route. Assist in getting product ready for delivery, including loading/unloading of vehicle(s). Verify accuracy of customer orders before departure from the warehouse. Deliver product(s) in a safe and timely manner as directed or per policy/process. Coordinate documentation between Company and customer to ensure company standards are met. Help maintain vehicle cleanliness and maintenance Must understand and adhere to all DOT regulations according to the Federal Motor Carrier Safety Regulations (FMCSR) and the company Driver Policy. Other: Demonstrate ability to work with multiple internal and external departments and customer bases Perform other duties as assigned You'll be working as part of team in our warehouse. What qualifications does a Warehouse Worker need to be successful? Valid Driver's license and good driving record required. CDL is not required. Must be able to pass medical certification for driving Must be at least 21 years of age. Previous experience in a warehouse environment is preferred Good Communication skills Accuracy and attention to detail Able to become forklift certified. We will provide the training. Must be able to walk, stand for 8+ hours/day and lift and/or move 50+ lbs regularly. Heavier objects may be needed to lift with assistance from co-workers, depending on product and location. Must be able to read and understand order forms Must be able to pass a pre-employment drug test screening and background check. This is a Full-time, Hourly position working daytime hours. You'll be eligible to receive overtime pay when you work more than 40 hours/week. Work Location: This role is located in Brooklyn Park, MN We offer great benefits and competitive pay! Concordance Healthcare Solutions, is committed to be one of the most respected healthcare distribution companies in the country by providing best-in-class service to our customers. Through our dedicated staff working in distribution centers throughout the upper Midwest, we offer dynamic supply chain solutions to the entire healthcare continuum. Disclaimer: This job description is intended to describe the general duties of the position and is not a comprehensive list. Employees must be able to complete essential duties as assigned with or without a reasonable accommodation. Equal Opportunity Employer, including disabled and veterans. Concordance Healthcare Solutions has a job opening for a Delivery Driver- Class A CDL in our Mocksville, North Carolina location. What You Will Do: Responsible for delivering merchandise to the customer in a courteous, professional and cooperative manner; assists customer in whatever way needed. Reports any shipping errors to Supervisor. Inspects vehicle daily, reporting all malfunctions or defects to management; maintains all DOT regulations. Maintains all documentation neatly and completes paperwork daily. Other duties as assigned. This position will serve as a delivery driver on a Monday-Friday route. Shift hours vary with each day. Overtime may be required. What You will Need to be Successful: Must possess a Class A CDL and a clean driving record. Dependable and able to work with little supervision. Ability to operate warehouse equipment. Flexible work hours required. Proven attendance record a must. Maintain all DOT regulations and requirements; including being able to pass a DOT drug screen. Must be accurate and have good attention to detail. Must work in a safe, efficient and respectful manner with other personnel. Follows good housekeeping procedures. Adheres to all company and departmental policies and procedures. Must be able to successfully pass a pre-employment DOT drug screening, physical and background check. Work Location: This role is located in the Mocksville, NC area. Relocation Assistance: No relocation assistance available We offer great benefits! Health, Life, Dental, Vision Insurance Paid Vacation, PTO, Paid Holiday 401K Retirement Plan - Company funding Company paid Short Term & Long Term Disability Profit Sharing Program Concordance Healthcare Solutions, LLC was formed through a merger between three independent healthcare distributors, Kreisers, Inc., Seneca Medical, and MMS - A Medical Supply Company. We are committed to being the most respected, innovative, national, multi-market healthcare solutions company earning the highest level of trust by operating with integrity, unwavering commitment and exceptional service through our culture of excellence. Through our dedicated staff of over 1,000 employees, working in strategically-located distribution centers across the country, we offer dynamic supply chain solutions to the entire healthcare continuum. We are an Equal Opportunity Employer. Position will remain open until filled. 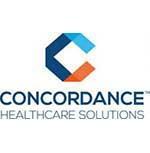 Interested applicants should apply on-line at http://www.concordancehealthcare.com/careers .